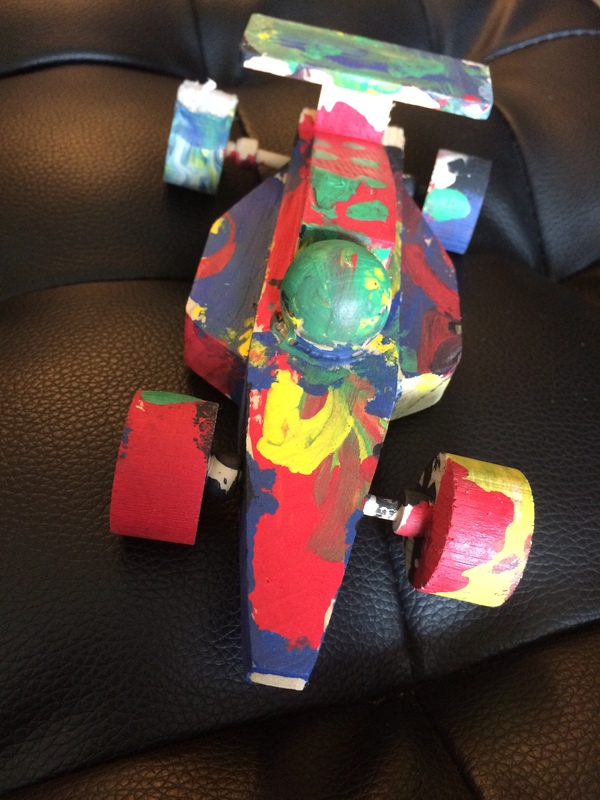 My son A found this wooden race car model from the Singapore Pinacothèque de Paris museum and was really insistent on painting it. 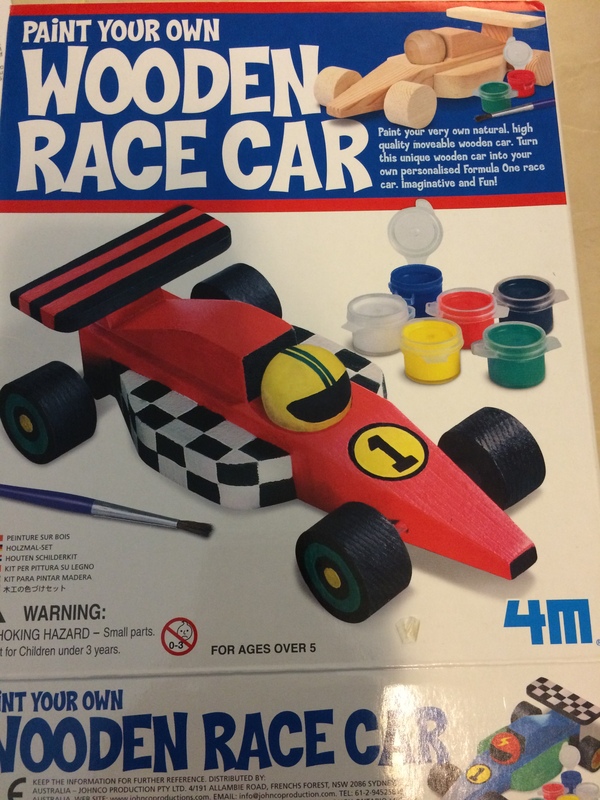 As a justification for being overindulging, i got it for him with plans for trying out the kids’ first collaborative painting exercise on the poor race car. So after the usual excitement of starting a new project, we started…. A painted his favorite red on the top and M mixed her paints to paint her wheels (she got a nice swirly marble effect). Not too shabby and not too painful for a first collaborative piece! I think i will plan more collaborative art work in future! 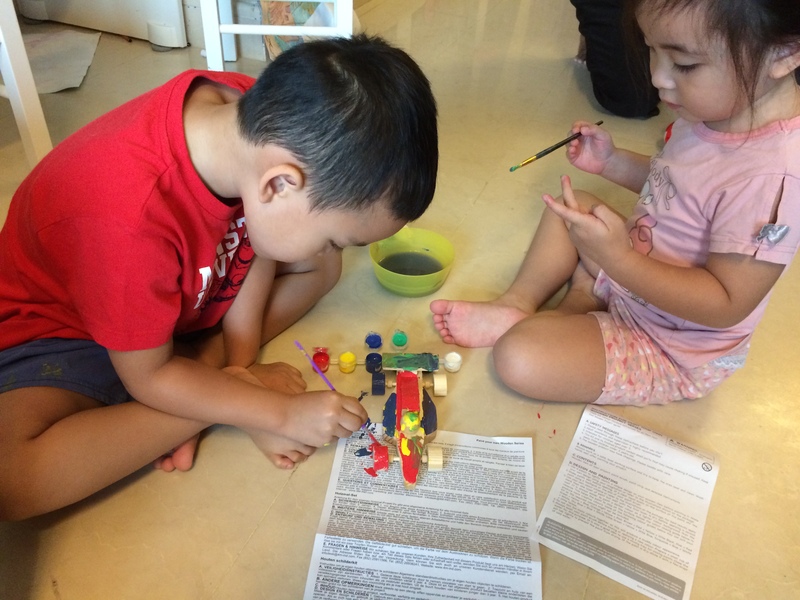 This November, Jelly Bean Attic will be hosting a series of art sessions for toddlers at the gorgeous Singapore Pinacothèque de Paris Art Academy. Play and art is an incredible experience for little tots, giving them room to be themselves and letting them explore the world around them through different colours and textures. All materials will be provided. You’ll get to take home your little one’s creations too! Spaces are limited so sign up soon! Please bring along kids change of clothes and drinking bottle. To sign up or enquire about our art sessions, contact Sharon Sim at 9099 0955 or email us at JellyBeanAttic@gmail.com. Visit http://www.pinacotheque.com.sg for more details about the Singapore Pinacothèque de Paris museum.